Riding on two wheels is such a big milestone for any child and the smile on their face when they first do, it is priceless. In our busy lifestyles and urban living, is often hard for parents to find the time to put in enough practice, or to know how to approach the transition from training wheels. Many children who find the acquisition of motor skills difficult, who are anxious or lack confidence find bike riding difficult to achieve. 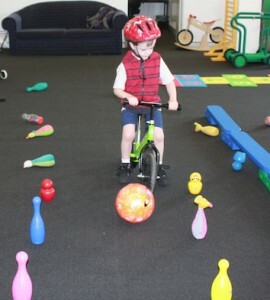 As being able to ride a bike with your peers is such an important motor, fitness and social milestone we feel it is a skill that we would like all children to achieve. 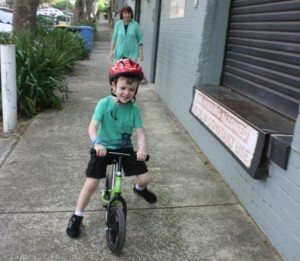 We have the experience to assist you and your child with the transition from trainer wheels to two wheeler easier than you can imagine for kids of all ages and abilities. 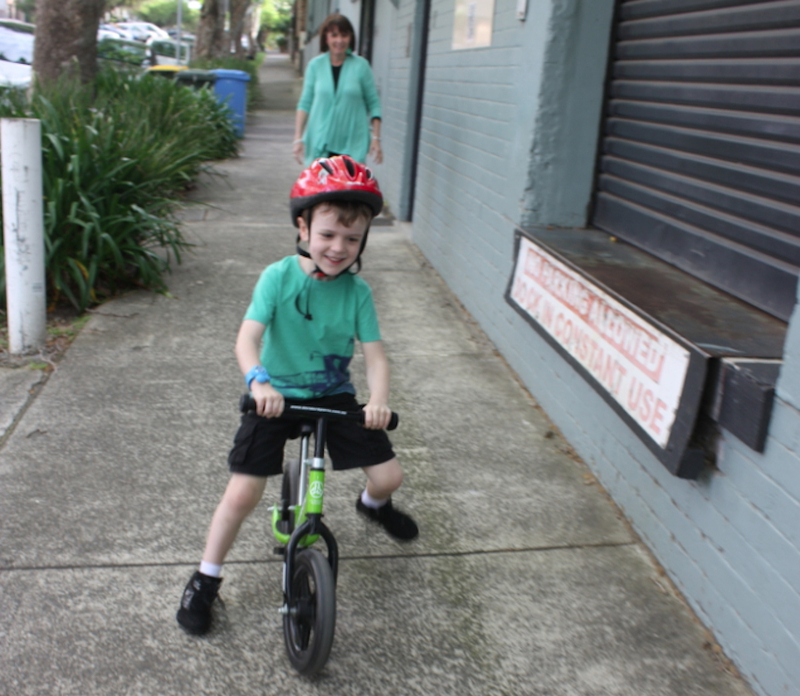 At Therapies for Kids we have the experience to assist you and your child with the transition from trainer wheels to two wheeler easier than you can imagine for kids of all ages and abilities. We often run school holiday group programs, (depending on level of interest), individual sessions or if you like, organise your own group and give us a call. – The child’s own bike should be used. Ideally they should have had some opportunity to get used to using the bike prior to the sessions. – The seat should be positioned as low as possible so that they child can comfortably touch the floor with both feet. – The pedals should both be removed prior to the session, so that the bike can effectively be used initially as a balance bike. – The pedals and any specific tools for the bike/pedals should be brought along, so that they can be reattached when the child is ready. – Children should wear a helmet.